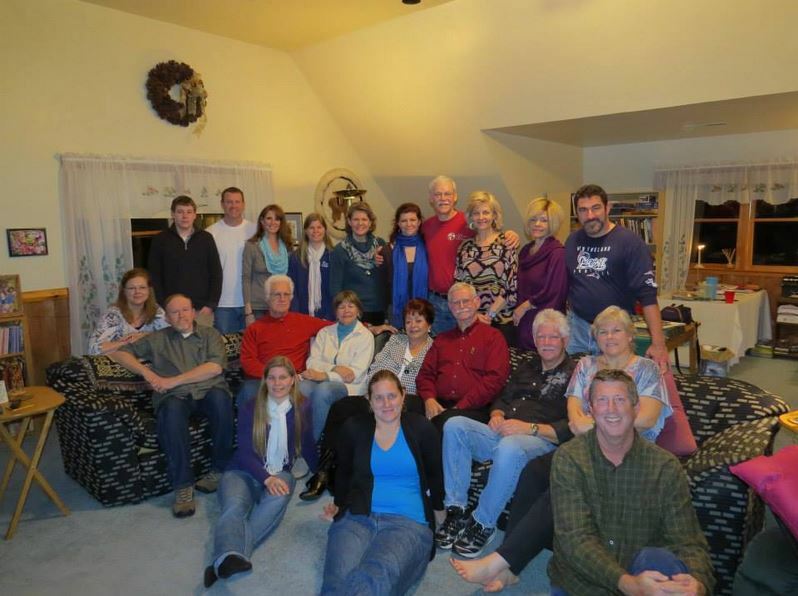 Twenty Taylor Albert Duncan descendants gathered in Waxhaw this past weekend (Jan 9–12) to reconnect. Everyone told their stories to the whole group, caught us up, cried, teased, laughed, and listened. We stayed up way too late talking and got less sleep than we wanted. Gloria brought us Taylor Albert Duncan gold (see below “Treasure”). Dawn hogged Allan’s computer all day Saturday to scan. Kathy and Mary Lynn provided delicious food in abundance. Kathy and Kim (with some help) were left with large messes. 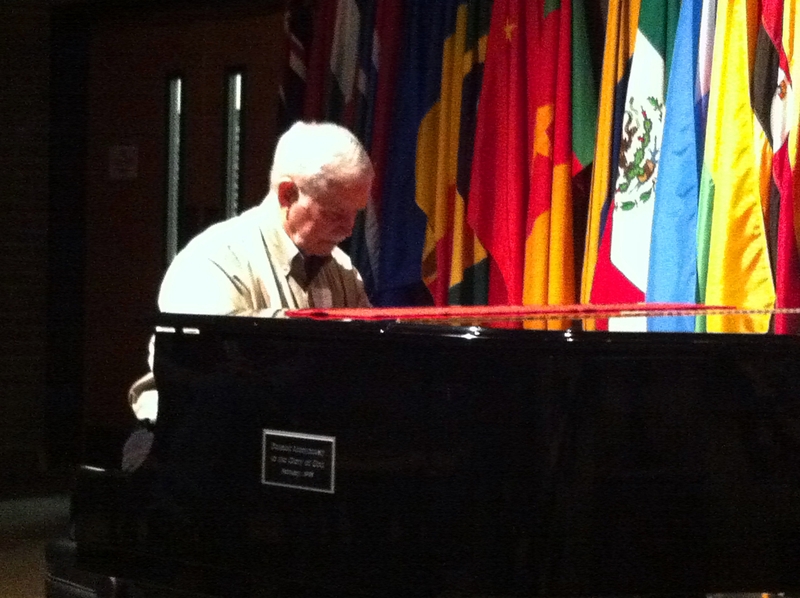 TJ played the Moonlight Sonata for us in the JAARS Chapel. It rained all day Friday and all day Saturday. 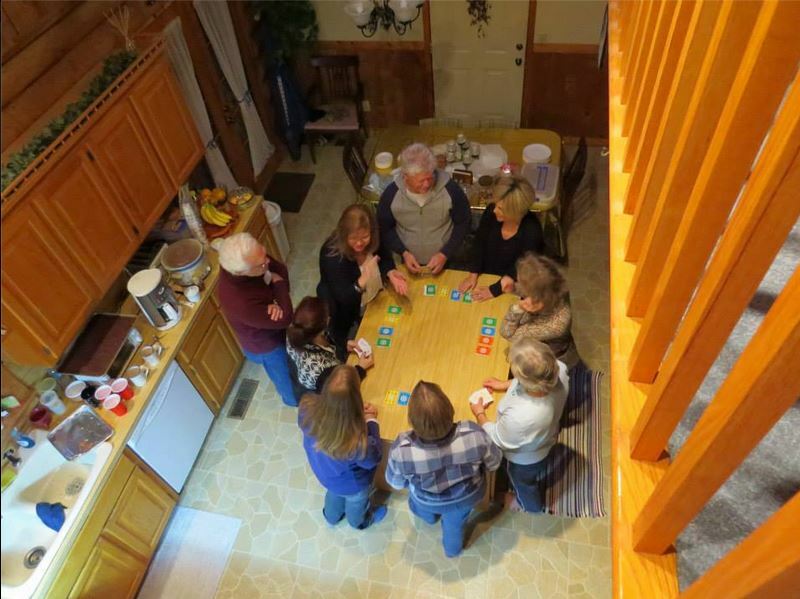 Kathy’s house provided a perfect gathering space. The basement flooded on Saturday. Some of us toured JAARS, the Alphabet Museum, and the Mexico Museum together. Some of us got wet trying to find which building the rest of us went into. Those who visited the Carolinas Aviation Museum heard survivors of the Hudson River plane share their stories and answer questions in person. Very cool. Our rental cars got stuck in the muddy ruts outside Kathy’s house. We played Dutch Blitz, rotating players through the teams. Gail and Bruce cheated. Heidi and Virginia won. We worshiped and prayed together on Sunday morning. 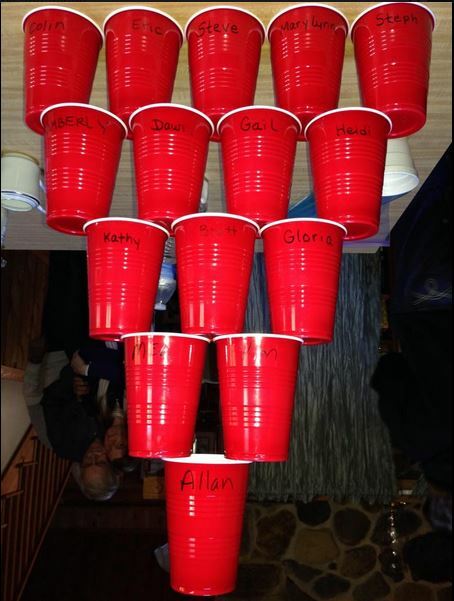 Colin was the last one to leave on Sunday, so he built a pyramid with our cups. If you weren’t there, we missed you. We had a great time together and propose another reunion in two years’ time: 2016. We’ll select perhaps three weekends in 2016. These will be weekends highly likely to be school holidays for most kids. The one with the most votes will become our target. Several of us volunteered the Chicago Duncans as a hosts. The Chicago Duncans were not in attendance. This is what happens when you don’t come to the Family Reunion. Just sayin’. In the past they themselves have volunteered and Chicago is a direct flight for most of us. Furthermore, there are more houses with potential guest beds between their five family units. Chicago Duncans, if you are potentially willing, please email, call, or contact me here to discuss this further. We all thank you! Chris Boyer, Gloria’s husband, found a bin in Tad and Carol’s house full of Grandpa Taylor’s old documents and photos. I scanned as many of these as I could on Saturday, much thanks to Allan, Kathy’s husband, for allowing me to commandeer their computer and scanner. These are now in my Dropbox. If you would like access to them, send me an email or a message here and I’ll send you the link. You can download them to your own files if you would like permanent access to them. I will keep them in the Dropbox for a limited time only. Colin and I have put our photos in a common Facebook album if you would like to see them. If you have photos to add, let me know and I’ll make you a “contributor” to that album, so you can upload them. If you do not have a Facebook account, let me know and I’ll tell you how to get a hold of some of the photos. Many thanks to Kathy and Allan Courtright and Kim, their daughter, whose home we used and who fed us, and to Eric and Mary Lynn Kindberg, who planned our weekend and provided food and other assistance. This entry was posted in Bob, Kathryn, Lee, Steve, Tad, Taylor and tagged Allan Courtright, Chris Boyer, JAARS, Kim Courtright, TJ Ramey, Waxhaw on January 15, 2014 by Dawn Duncan Harrell.